The Yankees made a surprising signing of DJ LeMahieu. 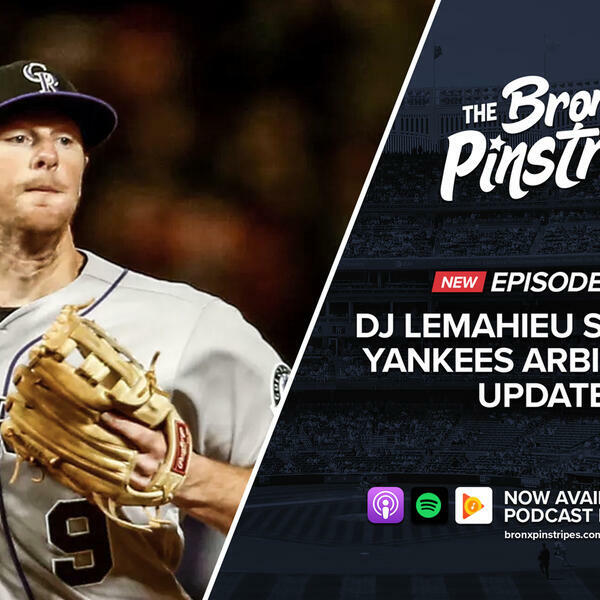 We discuss DJ’s versatility, offensive and defensive numbers, implications on a Manny Machado signing, Gleyber Torres and Miguel Andujar’s playing time, and more. Then we dive into arbitration updates, Jeff Passan’s article about the “wonky” system, a possible Luis Severino arbitration hearing, Mookie Betts record-setting settlement, and the mega free agent contract possibly being extinct. Finally, a mailbag question about the outfield depth. Spring Training trip: March 15-16, 2019 -- Contact us if you are interested in a ticket to the March 16 game.